Milwaukee Bucks co-owner Marc Lasry has been fined $25,000 for his recent remarks about Anthony Davis, ESPN's Malika Andrews reported Monday. Lasry's recent comments about the New Orleans Pelicans' star violated NBA tampering rules. Davis requested a trade from the Pelicans prior to the trading deadline, and there were reports that the Bucks were among four teams that he would consider joining on a long-term deal. Lasry was asked about the report when the Bucks were in New York to play the Brooklyn Nets. 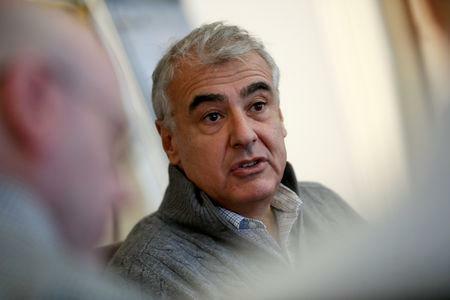 "I saw that report, and I think it's great," Lasry told Sporting News. "It's a little bit of what we want. We want players to come and play in Milwaukee. And part of it is, when you're winning and you're setting a standard for excellence, people see that. People want to win. "It doesn't make a difference if you're in Milwaukee, New York or L.A. The whole goal is winning. So we hope it would be players like Anthony Davis and others who want to come to Milwaukee." The Bucks (41-14) entered Monday with the NBA's best record.